A few weeks ago I decided I wanted ombré hair… those who know me will verify that I’m quite impatient, so when I get an idea in my head I will be restless until it’s done! Nice personality trait there… ha. 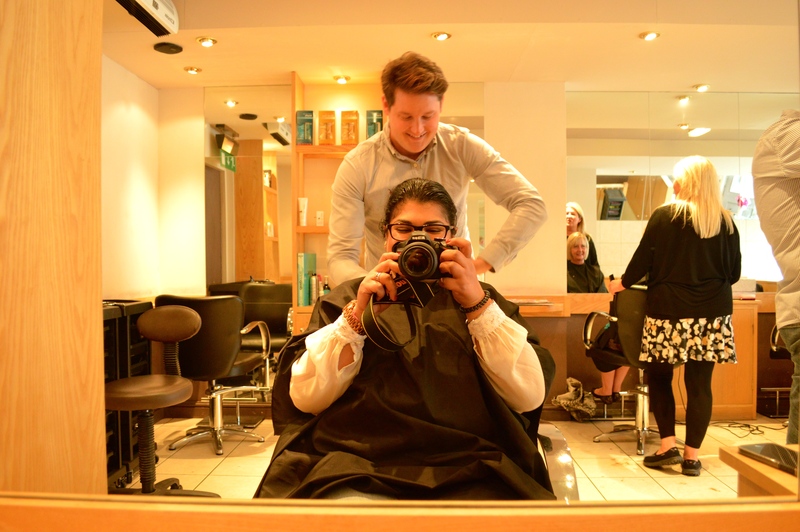 I decided to give my hair stylist Chris (at Chill Hair Design) a call to see what he thought. Chris is hilarious, as you’ll see a bit later on… he also knows his stuff. He told me to pop in with a photo of what I was looking for and he’d tell me if it was possible. I did that and he said we were good to go! I had to wait a week for my appointment and this was torture. 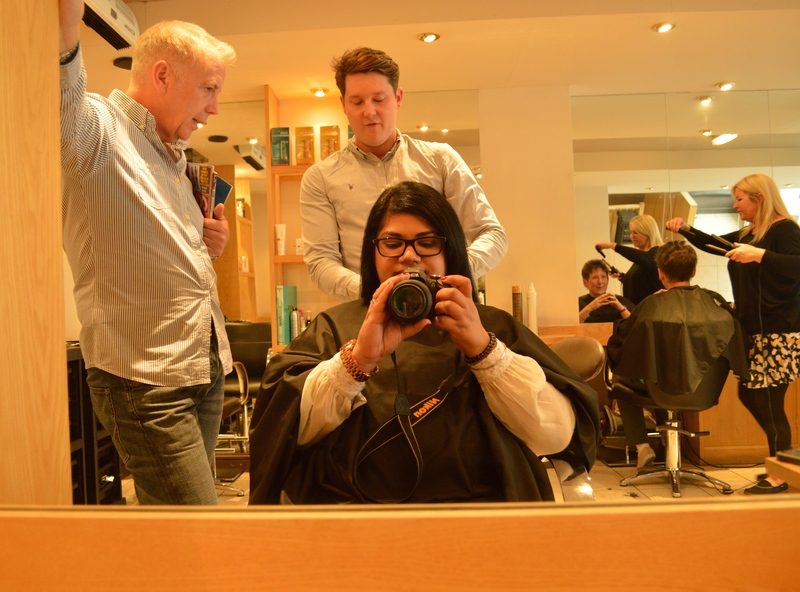 I should also mention that Chris is the first hairstylist who has cut me in a fringe – when I told him that no other stylist would he was confused and said something along the lines of “Why not? It’s easy, just cut a fringe in.” I LOVE my fringe – I’m growing it out until after my best friend’s wedding in August, then I’ll get it cut back in). 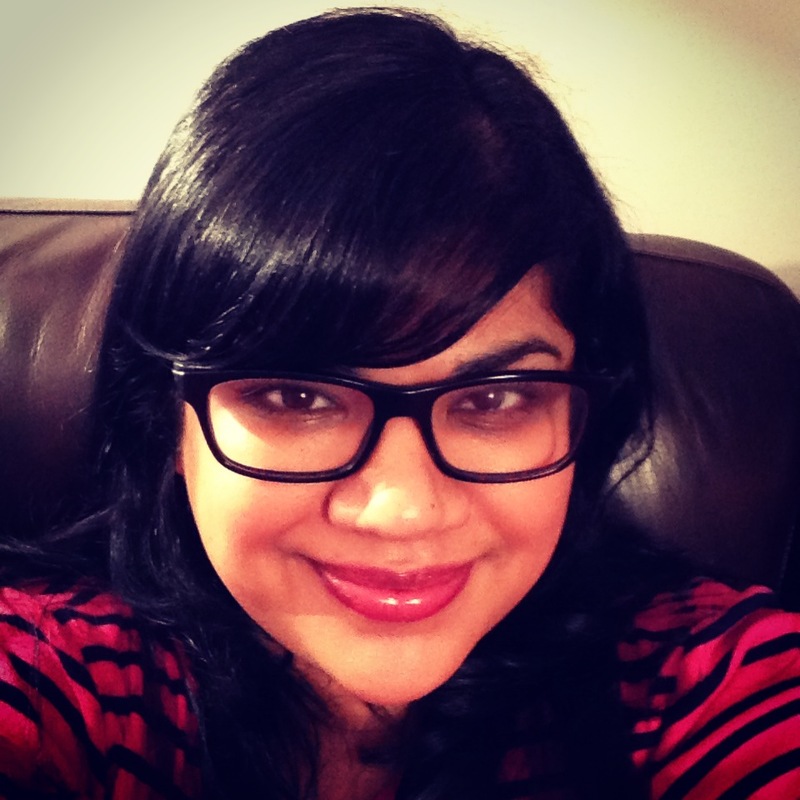 Here’s a pic of aforementioned fringe when I first got it cut in. 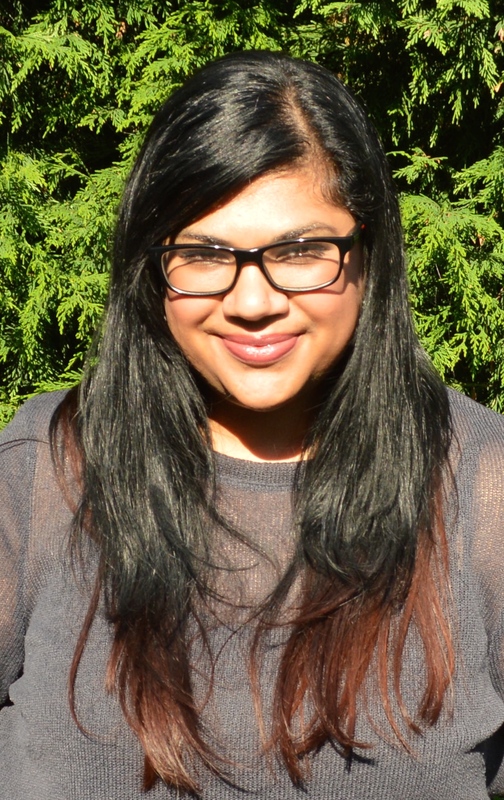 I apologise in advance, there are going to be quite a few photos of my face in this post. The ombré hair trend has been sported by celebs for quite a while now, basically it is hair that is darker, natural hues at the root, gradually getting lighter towards the tips of the hair. I wanted mine to be quite subtle, not golden blonde. My husband thought I was getting my whole head dyed blonde. No wonder he seemed worried! 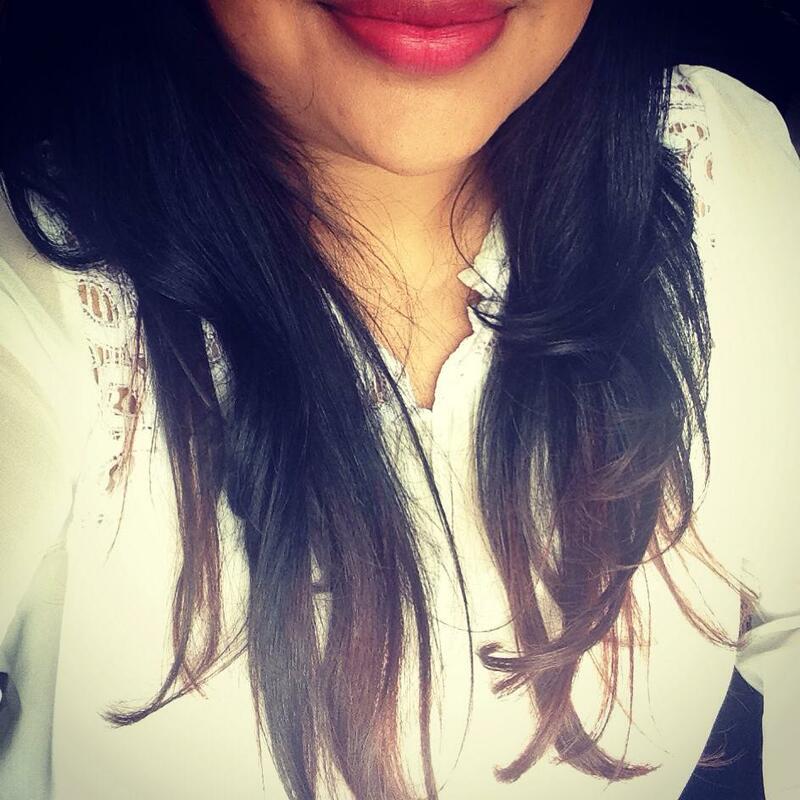 I was so adamant that I wanted ombré hair before I went to Barcelona (Ritu’s hen weekend) that I took a half day off from work to get it done last Wednesday. I got there at 12.30pm, a bit nervous but obviously fully trusting Chris’ judgement. 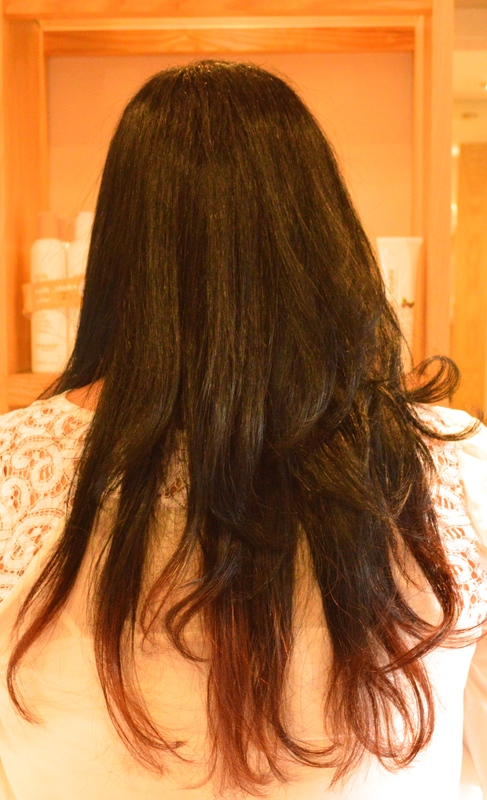 I had been wished “happy dip dye day” and “happy ombré day” by friends who knew how excited I was about it. Is that a bit embarrassing to admit? 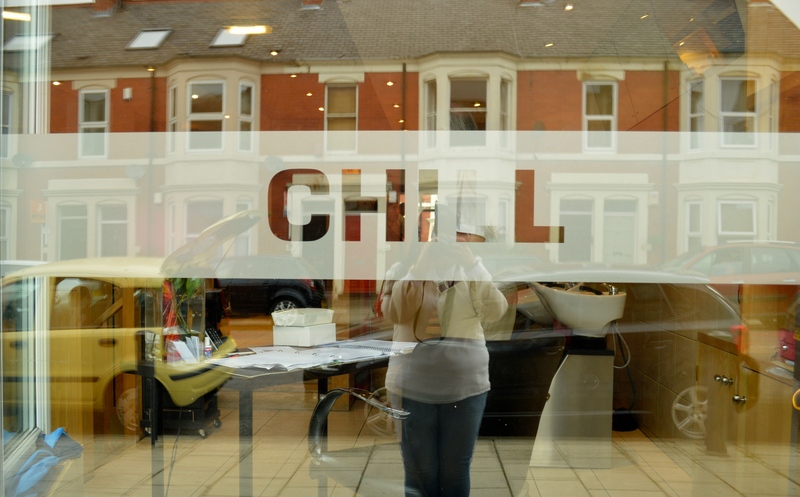 Chill has been open on Newlands Road, near Ilford Road Metro Station for 16 years and is owned by Gary. It used to be an Antiques Shop before it became Chill. (Fact of the day). There are 4 stylists: Gary, Chris, Helen and Margaret. Laurie is their super sweet junior stylist and Yvonne is on reception. 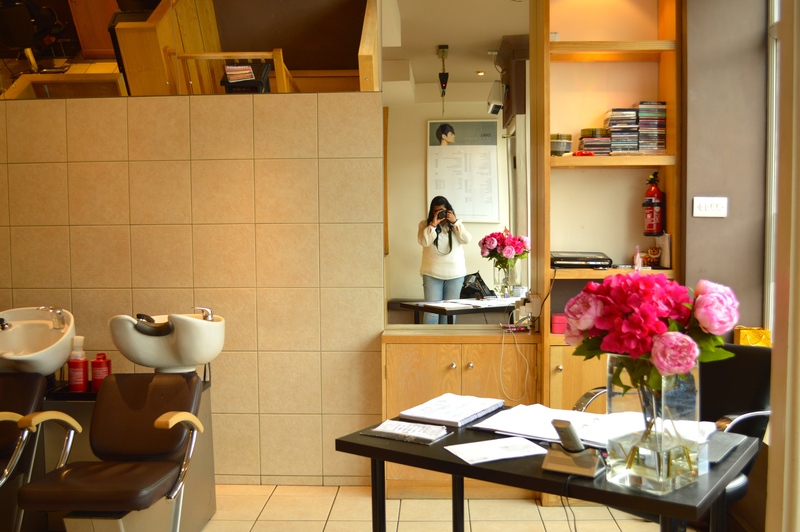 They also have Justine, a make-up and nail technician, who is based downstairs. I heard about Chill from a few friends who go there, I’ve been going for 2 years now and have no plans of going anywhere else. I recommend Chris to so many of my family and friends – many of them also go there now too! (This weekend I recommended it to a few more friends too, watch out Chris). 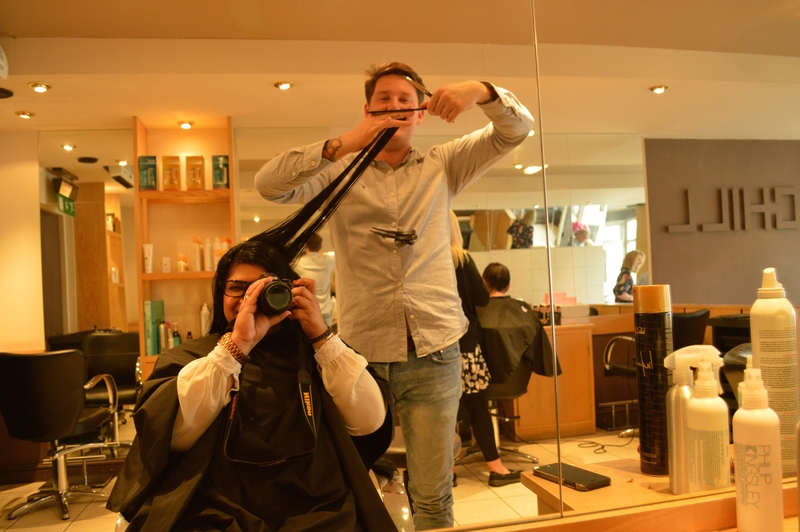 It’s hard to find a hairstylist who does your hair exactly how you imagined it, so when you find them why would you leave?! I spent years going from salon to salon, the cuts I got weren’t bad at all, they just weren’t what I had envisioned. Chill is really close to Ilford Rd Metro and is on a residential street so there’s always parking. 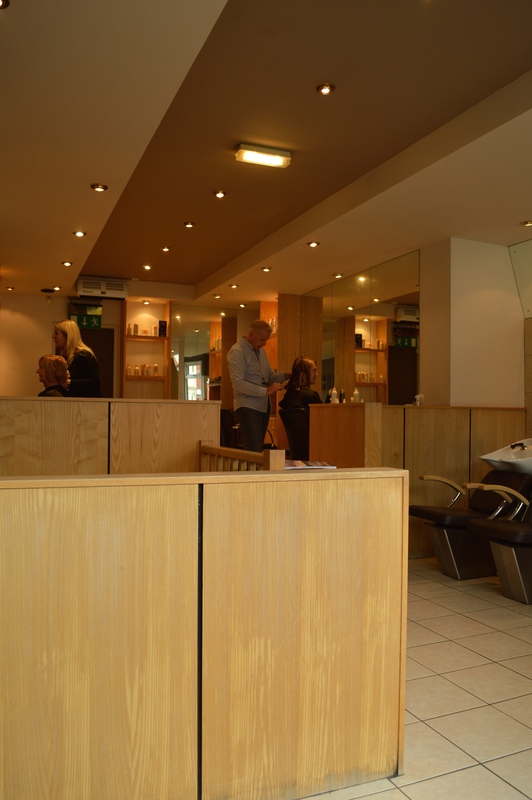 There’s a really relaxed atmosphere and everyone is super friendly. It’s always busy but I’ve always managed to get an appointment on account of them opening late on a Thursday and Friday. They’re shut Sunday and Monday. Back to operation ombré.. Chris started by washing my hair (not using too much conditioner as it acts as a barrier when applying dye) and then giving it a good trim. 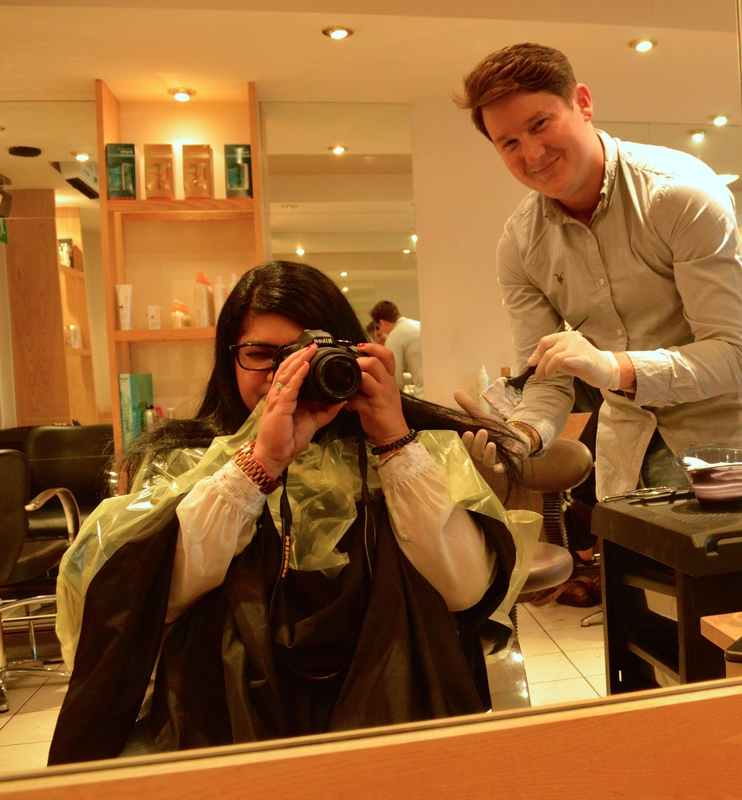 After a rough blow dry came the important bit… application of the dye. Chris and Gary decided to use a high lift tint to see what kind of lift we got, instead of bleach. Dye & foil on, Chris spent ages checking the lift, and reapplying the mixture to my hair. During this time, we chatted and laughed. 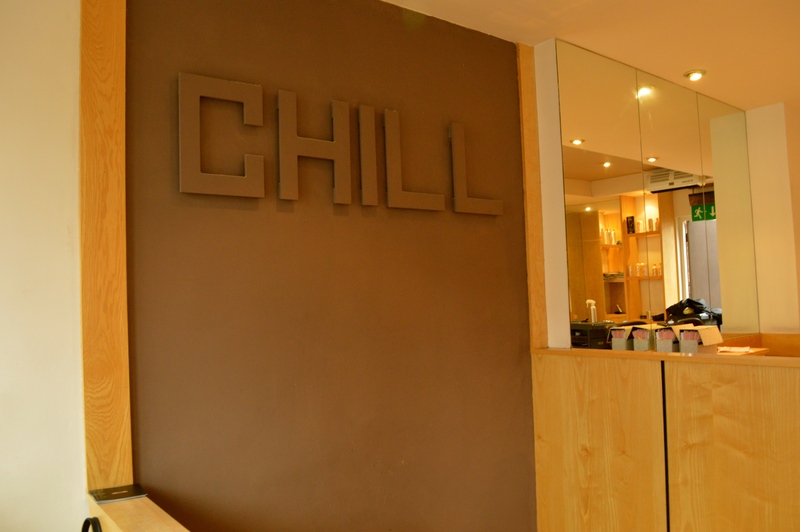 I’m always in pain after an appointment at Chill from laughing so much. 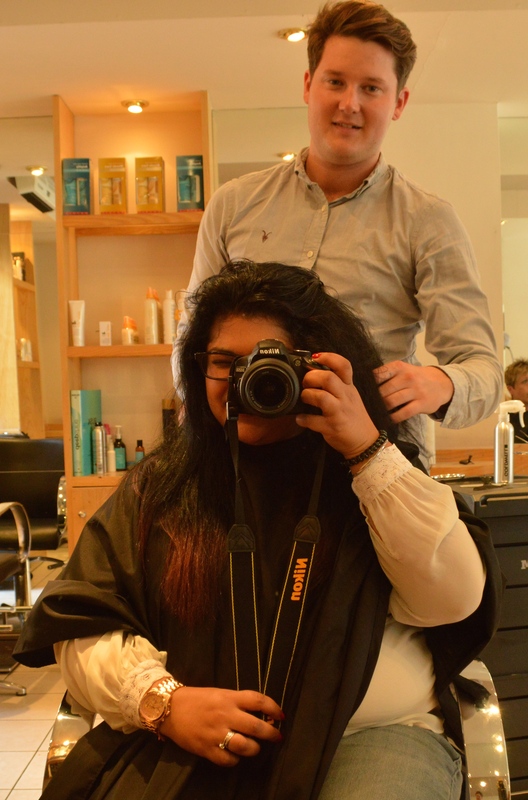 When Chris was happy with the lift, he re-washed my hair and quickly dried the ends of my hair so we could see the colour result… I was so unsure about whether or not to go a tiny bit lighter… I even tried FaceTiming my friend Julie to see what she thought but she was busy so couldn’t pick up. This went on for about 20 minutes and with the help of Chris and Laurie I finally decided to leave it how it was. 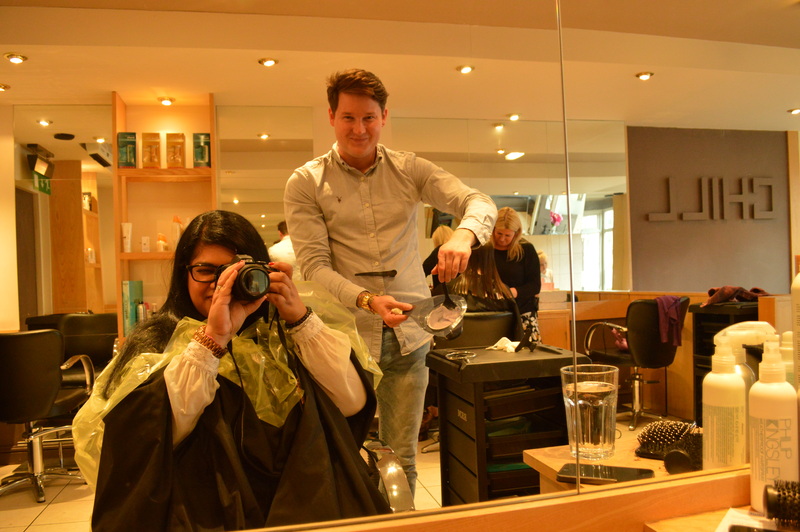 So then came the proper blow dry and a few more photos… ready? I love it! Been toying with the idea of colouring my hair for a while.. Think ombré might be the way to go!